Two statements were particularly comical: “We do not make excuses …,” and “we take responsibility…”. His column seemed to have two goals: 1. Give an excuse for a few of the many problems noted by the USDA and OLAW, and 2. Scold local media for quoting the inspection reports. He claimed that “early news coverage misrepresented” the problems, apparently trying to make readers believe that the federal inspectors’ written reports did so as well since the language from the reports was a key element in local media coverage. Let’s look at his excuses for the violations and compare them with the USDA report and the regulations the inspectors cited them for violating. You can read the USDA report here. In December, the U.S. Department of Agriculture and the National Institutes of Health Office of Laboratory Animal Welfare (OLAW) performed a routine inspection of the UW-Madison animal program. USDA is required by law to inspect all research institutions at least once per year. OLAW visits several institutions each year. The USDA inspection was officially a “Routine Inspection.” This is noted on the inspection report itself. But the inspection was far from routine. Typical “Routine Inspections” routinely find few violations. The reasons for finding few violations are many, but a large one is that inspectors commonly arrive alone and stay for a few hours or a few days at most. In this case, a team of inspectors was at the university for two weeks. “Routine Inspection” reports routinely amount to a page or two in length. A September 2009 UW-Madison “Routine Inspection” of “All Campus Sites” is just over a page in length, and an April 2009 “Routine Inspection” of “All Campus Sites” is a single page. The December 9, 2009 inspection that Sandgren says was a “routine inspection” is ten pages long. That’s not routine. Sandgren says that OLAW visits “several institutions each year.” But he should have said, OLAW visits only a few institutions each year, and usually, only if they suspect serious problems. USDA and OLAW showed up at the same time. That’s not routine. That is the point of inspections: to provide us with an independent evaluation of our program. The findings prove extremely helpful in our own efforts to continually improve. The fact that the inspectors found so much wrong that this accredited institution itself could not see doesn’t say much for the institution’s effort to improve. Insiders allege that the joint inspection was stimulated by multiple complaints to OLAW and USDA from animal care staff. There is no way to confirm this, but if it’s true, that’s not routine either. USDA found inadequately cleaned areas in one of 10 surgical areas examined. The rest looked great. The outlier is now clean, and everyone using it knows they better keep it that way. What is implied when he says: “The outlier is now clean, and everyone using it knows they better keep it that way”? Do researchers at the university have to be ordered to maintain a sterile surgical environment? What does it imply about their concern for the animals they are operating on or even their basic understanding of germ theory? What does it say about the competence of RARC and the animal care and use committee whose job it was to insure compliance with the federal regulations who allowed the surgical suite to become and remain dirty? The inspectors reported that they inspected the surgical suite after it had been cleaned and found rusty equipment (which makes it very difficult if not impossible to adequately clean), hair clippings on a table, drips/splatter residue on a wall, an excessive accumulation of dirt on the air vents, and dark colored material on the front drawers of an anesthesia machine. And yet, the university claims that its research and science and animal care is cutting-edge. Blather. Our current animal use application reminds applicants to “make sure the proposed procedures cause the least possible stress to animals,” and requires them to confirm that they have done so. We will now also require a narrative description in the application of how this requirement was met. The university stopped referring researchers to this policy sometime after 2008. He should have said they the university will go back to requiring a narrative. The animals in this study were being monitored by veterinarians, who were treating their patients as they recovered from surgery. The error was in failing to inform our laboratory animal veterinarians about the animals’ condition so that they too could participate in patient management. That communication problem is now fixed. It is the responsibility of the research facility and research staff to have a mechanism of direct and frequent communication to ensure that problems of animal health and/or behavior are conveyed in a timely manner to the attending veterinarian for evaluation and assessment to ensure the health and well-being of the animals. Sandgren’s column is a short laundry list of excuses for many problems. He says they are sorry and will try to do better. He also says they take responsibility for the problems. Exactly how do they do that? Will people lose their jobs? Will salaries be cut? What does “take responsibility” mean? A postscript: Sandgren tries to take media to task for misrepresentative reporting, but most of the reports said that USDA had twenty violations. This was subsequently mentioned by university animal research defenders as "only twenty" violations. Sandgren didn't correct that error in his column. Look at the report. There were twenty different kinds of violations. In fact, conservatively, there are close to a hundred individual violations; count them up yourself. Looked at this way, media reporting did Sandgren and his crew a favor. 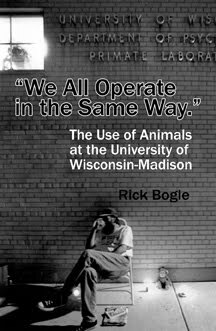 On January 8, 2010, the University of Wisconsin-Madison All Campus Animal Care and Use Committee deliberated on and responded to a question posed to the committee by Rick Marolt on August 7, 2009. It took the committee seven months to get to this point because it had made its decision earlier behind closed doors, possibly violating the state’s public meetings laws and was ordered (“prodded”) by the chancellor to meet and deliberate in an open meeting. Local media outlets reported on the meeting. See for instance “Campus Connection: Panel says ethics considered before monkey research.” Todd Finkelmeyer January 9, 2010. The Capital Times. When I say that the committee deliberated on Marolt’s question, I am being generous. There actually wasn’t much deliberation if we take deliberation to mean a discussion and consideration by a group of persons. Of the dozen or so committee members sitting at the table only three and a half participated. Robert Streiffer read a prepared statement, Eric Sandgren gave a prepared presentation, and only Nancy Schultz-Darken contributed comments that could be fairly characterized as an attempt at discussion. Another member (whose name I don’t know) suggested that Schultz-Darken’s concerns for faculty who were afraid to speak publicly on the matter of primate experimentation were insubstantial and likely wrong. Schultz-Darken’s suggestion that the committee recommend to the chancellor some way – a forum of some sort – to give potentially critical or concerned faculty an opportunity to voice their opinions without fear of reprisal was left undiscussed. Robert Streiffer’s remarks are of particular importance given his wide involvement in university research policy. See his Curriculum Vitae. Streiffer’s stated opinions and remarks provide authority to the university’s claim that its use of animals receives careful scrutiny and ethical consideration. I predict that at some point in the not too distant future some university official will say something to the effect that the chair of one of the university’s animal care and use committees (ACUCs) is a bioethicist and will, either overtly or implicitly, leave their audience with the impression that the ethics of the research are duly considered. Streiffer is the chair of the School of Letters & Science ACUC, which among other things approves experiments at the Harlow Primate Psychology Laboratory. I comment on some of Streiffer’s specific points and claims below. I begin here with the distilled version: Streiffer’s fundamental claim is an appeal to authority. And because the authorities he appeals to are not experts in the matter at hand, his claim is fallacious. On matters of ethics or of moral behavior, there are persons who have significant knowledge of the history of ethics and moral behavior, but no one has a legitimate claim to authoratative knowlege of right and wrong. (Those who make such a claim frequently appeal to a supernatural source of knowledge.) This means then, that a fair review of evidence could and often does lead to different opinions regarding ethics; the only situations wherein opinions should be differently weighed are when one person or group has reviewed the evidence and the other has not; or else, when one has a broader knowledge of the evidence. If someone or group makes a claim in the absence of meaningful evidence their opinion must be proportionally discounted based on their degree of knowledge or ignorance, willful or otherwise. If the question before the committee had been: Is the UW-Madison’s use of primates legal? or, “Is the care and use of monkeys at UW-Madison in general compliance with the federal regulations governing the care and use of animals used in research?” then, Streiffer's claim would have been a valid argument from authority because the authorities he appeals to in his argument are experts in those areas. In fact, these are precisely the questions that the animal care and use committees are charged to answer and do answer by referring and appealing to the accepted authorities in this specific area: the Animal Welfare Act, the Guide for the Care and Use of Laboratory Animals, the "U.S. Government Principles for the Utilization and Care of Vertebrate Animals Used in Testing, Research and Training," and the Public Health Service Policy on Humane Care and Use of Laboratory Animals. But on the question before the committee – Is experimenting on monkeys ethical? – these documents and regulations have no authority. The ethics of animal use generally and primate experimentation specifically, are outside these authorities’ area of expertise. Streiffer’s position appears to me to be a simple and handy abrogation of personal responsibility, a position shared by UW-Madison Chancellor Martin: “To the extent continued debate on this subject is merited, it should be pursued at the national level.” Letter to Rick Marolt. November 2, 2009. I move that the committee endorse the position that existing standards of veterinary care and applicable animal welfare laws, regulations, and policies provide a suitable and appropriate basis for determining when the use of nonhuman primates in research, teaching, or outreach at the University of Wisconsin-Madison is ethical. It is ethical, they all argue, because a higher authority says it is. Fortunately, some, albeit a minority of us, have over time, acted independently of laws and regulations. Some of us have hidden Jews in basements or attics. Some of us have helped slaves escape to freedom; in both cases violating the highest legal authorities in the land. Historically, states and municipalities have banned federally sanctioned activity and legalized federally banned behavior. Those elected to high office or those hired to administer state and federal regulations have no claim on ethical authority. 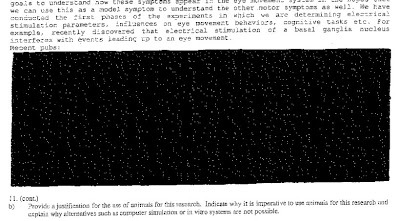 Streiffer’s appeal to the "U.S. Government Principles for the Utilization and Care of Vertebrate Animals Used in Testing" is problematic. The "Principles," also appealed to by Eric Sandgren in his presentation to the committee, were adopted in 1985, two-and-a-half decades ago now. Yet Streiffer says also that the use of non-human primates should be revisited periodically and periodically reassessed in light of the latest scientific knowledge and ethical reflection. Streiffer’s appeal to the "Principles" is contrary to and fatally diminishes the weight of this claim. Streiffer began his comments by comparing the university’s belief in primate experimentation with the Vatican’s belief in God. UW knowingly engages in non-human primate research; we have Animal Care and Use Committees reviewing and approving protocols on a regular basis. It seems a bit like someone asking the Vatican to address the question on whether God exists. He may have used this comparison as a catchy and facetious introduction, but I think he was right; the committee may as well have genuflected and voted immediately. 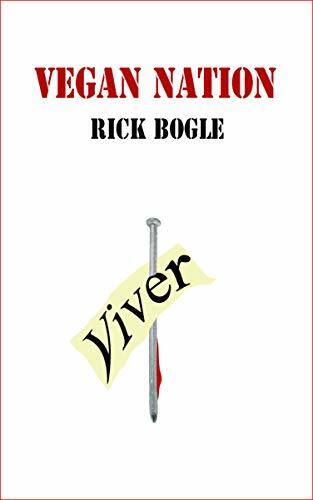 The ethical correctness and the scientific efficacy of animal experimentation are tenets of faith among vivisectors. Faith is a phenomenon that isn’t easily shaken by facts. Nor is it an affect that entertains challenging ideas. This might account for the committee’s lack of discussion and Eric Sandgren’s recitation of federal regulations. 1. The use of non-human primates is controversial and raises significant ethical issues. 2. The use of non-human primates should be revisited periodically and periodically reassessed in light of the latest scientific knowledge and ethical reflection. 3. ACUCs can and do make ethical decisions. 4. Society has taken a stand in support of primate research. 5. An infrastructure exists to oversee non-human primate research. 6. The university should defer the question of primate research to federal officials. 7. Primate research at the university is ethical. 1. I would be a little surprised if anyone involved with animal experimentation at the university didn’t agree that its use of monkeys is controversial. Whether or not it raises significant ethical issues though may vary from person to person. It appears to me, from Streiffer’s comments and the decided lack of conversation about this by the committee, that no one on the committee, neither Streiffer nor the other members feel this way. In Strieffer’s case, he may believe that he believes this, but his believed belief seems unsubstantiated by his subsequent claims and opinion as voiced in his motion to the committee. 2. Because of these supposed significant ethical issues, he claims, the matter of primate experimentation should be periodically revisited and revaluated in light of the latest scientific information. But over the past five years, the majority of the Graduate School ACUC meetings (where all the primate center experiments are reviewed) and the All Campus ACUC meetings (where all the potentially most painful experiments are reviewed, or were) have been attended by members of the public. They report that scientific discoveries are never topics of discussion. I have reviewed the minutes of very many of these meetings; never is there mention of any scientific reports on animal cognition, emotion, or news that reflects on problems with the oversight system, or scientific reports questioning the efficacy of using animals as models of human biology. If this body of scientific evidence and news isn’t mentioned, then re-evaluations cannot take place. Streiffer’s claim has little weight given the fact that the All Campus ACUC meeting could have been a venue for initiating just the sort of reconsideration and evidence weighing that he says should occur; but he did not attempt to begin what has apparently never been done, and yet which he claims should be done periodically. This seriously undermines his assertion and suggests that he may not actually believe what he apparently thinks he believes. 3. The question of whether or not ACUCs can and/or do make ethical decisions is an interesting one. Streiffer argues that they can and do; I think they could, but generally don’t. If a committee does not approve a protocol because it thinks it fails to provide acceptable housing or acceptable enrichment, then they are dealing with ethical issues, even if they don’t frame them using that terminology. For the most part, the IACUC does not and cannot conduct this explicit ethical review. The IACUC is charged with reviewing the rationale (preferably statistical) for the animal numbers chosen, for instance, but not whether a particular line of research warrants that number. Similarly, the IACUC evaluates a technical claim that nonhuman primates alone are likely to provide the sort of data sought, not whether a particular project ethically merits the use of primates. Because the IACUC does not have the tools (or the regulatory mandate) to conduct a thorough assessment of the scientific merit (i.e. the potential benefits) of a proposed project, it cannot make a thorough cost-benefit analysis. The IACUC Handbook. Silverman, Suckow, Murthy (Eds), 2000. ACUCs could make ethical decisions; the UW-Madison All-Campus could have decided to look for the first time at the scientific evidence of primate cognition, emotion, and societal behavior that has accumulated over the decades and deliberated over its meaning and implication, but they didn’t. Non-human primate research, after all, takes place across the country. It is a practice that in some minimal sense society has already taken a stand on, through the laws that allow it; the practices that encourage it; and the funding that supports it. I’m sure it was just a typo, but he left out the word vanishingly. He should have said, "in some vanishingly minimal sense society has already taken a stand." Following Streiffer’s logic, we are forced to argue that American society took a supportive stance on every action ever conducted by government, and that’s farfetched indeed. 5. Steiffer claims that there is an infrastructure in place that oversees primate research. There is an infrastructure in place that oversees, actually facilitates, animal experimentation. This is a much different thing than the oversight of primate research claimed by Streiffer. 6. Streiffer, echoing Chancellor Martin, says that others, not from Madison or even Wisconsin, should answer serious ethical questions about what is done on the University of Wiscosnin-Madison campus. It’s Martin’s job to increase the power of the university, to make it richer, to shield it from public and societal criticism. So her comment makes perfect sense. She’s simply uninterested in ethics (or at least those ethical questions that don’t impinge on her directly.) But Streiffer’s comment is a different matter entirely; arguably, he represents the university’s ethical compass; others may look to him as a respected bioethicist to provide leadership on sticky ethical matters. In this case, he has allowed the ship to run aground. He is right – at the lowest level of ethical reasoning. It is ethical, in his terms, because the government says it is legal. But Marolt was asking for something other than a simple check on legality. Marolt’s question would require the members of the committee to do some reading and engage in discussion about the things they read. Streiffer is an ethicist with impressive credentials. I am at a loss to account for his failure to genuinely address the question put to the committee, his failure to note publicly the clear conflicts of interest held by the committee members, his deferring of institutional and personal responsibility, and his apparent willingness to defend and sanction the un-winnowed and un-sifted official position of his employer. In a previous post, I suggested that Robert Streiffer might suffer from ethical blindness. He challenged my characterization; as a PhD-holding philosopher who specializes in ethics, such a possibility might strike deeply and painfully. But what are the alternative possibilities? There is a very long history of very well-educated and otherwise progressive thinkers who have been flat wrong on major ethical questions of their day. The animal question is the penultimate challenge to the special creation of man. The belief that humans are the pinnacle of creation and deserving of the de facto obeisance of all other species has evolved out of the original claim that only royalty were so deserving, then property-holding men were included, then in turn, white men, white women, people of color, and finally, all humans (or so much rhetoric claims.) Throughout this progression, smart and compassionate people have resisted, they have suffered from an era-bound ethical blindness that made it impossible for them to take notice of our morally relevant common characteristics. And, as a review of the evidence in existence today shows – a review Streiffer and the ACUC flatly refused to engage in – many other animals, and particularly the other primates – appear to share these characteristics with us. One last observation: Streiffer's position, that is, primate experimentation at the University of Wiscosnsin-Madison is ethical because a higher authority says it is, is, I believe, a dangerous notion. An appeal to authority is used today by scholars of Islam to justify stoning and horrific punishment. Appeals to authority have been used in every war as a justification for torture and murder. In all of these cases, individuals gave up their personal responsibility and decision-making with a reliance on the "better" judgement of the authorities. What we have learned over the past century regarding the mental lives of animals makes it clear that what is occurring today, and is escalating, literally dwarfs the suffering during historic events that we commonly refer to as the darkest periods of human history. This cannot change until people look at the issues squarely, unflinchingly, and make decisions based on the idea of basic rights for all who suffer similarly. As you know, Mr. Marolt has requested that UW address the question of whether it is ethical to do research on nonhuman primates. When I first heard his request, I was puzzled: UW knowingly engages in nonhuman primate research; we have Animal Care and Use Committees reviewing and approving protocols on a regular basis. It seemed a bit like someone asking the Vatican to address the question of whether God exists. I think we already know where the Vatican stands on that. But as I thought about it more, I think I came to better understand what Mr. Marolt was asking for. If I understand him correctly, Mr. Marolt is asking that UW officially deliberate about and officially adopt a position on a question of applied ethics, a question that directly concerns campus activities. UW has done something similar before. Preparing for the possibility that Jamie Thomson would be the first person to ever successfully isolate human embryonic stem cells, UW formed a Biotechnology Advisory Committee, consisting of biologists, bioethicists, and law professors, who met for about 9 months to examine the ethics of embryonic stem cell research and produce a public report. Now, the question of the ethics of nonhuman primate research is controversial. And as has become clear from Mr. Marolt’s attempts to find an audience to even consider his request, it is even controversial whether it is a good idea to take up the issue. Reports from ethics advisory committees sound nice on paper, but it would not be surprising if researchers and administrators were tempted to reject his request out of hand on the grounds it is not really a good-faith request for open and honest deliberation, but rather an attempt to obstruct research by a meddlesome activist. I think this temptation should be resisted, not because I am interested in speculating about Mr. Marolt’s motives, but because I think it’s a fallacy to reject an idea simply because one is dubious about the motives of the person whose idea it was. And I think that Mr. Marolt’s idea does indeed have merit. The use of nonhuman primates does raise significant ethical questions. We currently allow research that causes harm and premature death to sentient individuals capable of living long lives, capable of happiness and suffering, capable of agency and emotion. We justify that research not by appealing to the good of those particular individuals nor by appealing to their consent. We justify it by appealing to the advancement of knowledge and the benefits for others. I think that any reasonable view about the ethics of nonhuman primate research must acknowledge that these are significant costs, not to be imposed lightly. Such an important issue should be revisited periodically; it should be periodically reassessed in light of the latest scientific knowledge and ethical reflection. However, it does not automatically follow that UW should implement such a procedure here and now, much less that this specific committee should do so. Indeed, some might argue that the committee does not have the authority to take a stand on the general issue of the ethics of nonhuman primate research. The idea behind this view is that IACUCs are not authorized to decide whether research may be done, only the manner in which it may be done. IACUCs are not authorized to prohibit research, only to regulate it. Now, this argument purports to rest on a legal interpretation, and I do not focus on animal law, so my remarks here are tentative, but I want to briefly indicate why I don’t find such a narrow view of the regulations plausible with two examples. And even if this narrow interpretation were the correct reading of the law, it certainly isn’t my experience of how ACUCs operate. If a committee does not approve a protocol because it thinks the protocol fails to provide acceptable housing or enrichment, they are dealing with ethical issues, even if they don’t frame them using that terminology. So, I do think that nonhuman primate research raises important ethical issues that deserve attention, and I don’t think that this committee is barred from addressing them. Does this mean that the ACACUC needs to implement a process similar to the one I described regarding stem cell research? I don’t think so. Nonhuman primate research, after all, takes place across the country. It is a practice that, in some minimal sense, society itself has taken a stand on, through the laws that allow it, the practices that encourage it, and the funding that supports it. In this respect, the situation with nonhuman primate research is very different from the situation I described earlier with respect to stem cell research. At that time, not a single person had ever engaged in embryonic stem cell research. There were no federal laws. Nothing existed for embryonic stem cell research that was remotely comparable to the infrastructure that exists to oversee nonhuman primate research. Since that time, federal guidelines for embryonic stem cell research have been developed, and there is now a committee on campus that reviews stem cell protocols in a manner not that different from how the ACUCs review animal use protocols. Now, the mere fact that the research is common, legal, and has an oversight system in place does not necessarily mean that it is ethical. But it seems reasonable that a local animal oversight committee, or UW as a whole, might prefer to focus on its own day-to-day activities and defer the larger questions to those responsible for maintaining and improving the national oversight infrastructure. 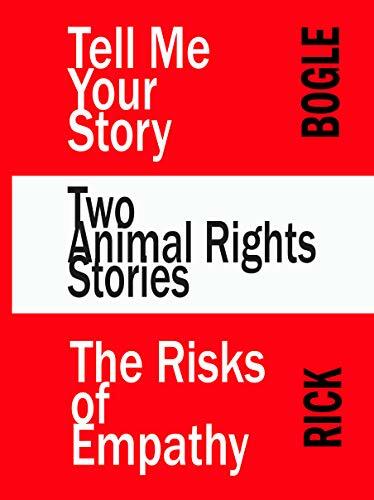 1 Carl Cohen and Tom Regan, The Animal Rights Debate (Rowman & Littlefield, 2001), 300-01. 2 Gary L. Francione, Animals, Property, and the Law (Philadelphia: Temple University Press, 1995), 186. The University of Wisconsin-Madison’s animal research program has been in the news quite a bit lately as a result of the US Department of Agriculture determining that multiple significant violations of the Animal Welfare Act (the Act) were occurring, and the National Institutes of Health determining simultaneously that multiple serious violations of the Public Heath Service regulations governing animal care and use were occurring, and that the oversight system used by the university was seriously flawed. The university has defended its use of animals and has characterized the highly unusual joint visit by multiple inspectors from each agency as nothing out of the ordinary, very helpful, and has claimed that over-all they received favorable evaluations from the two agencies. Read the reports, read and watch media’s interpretation, and judge for yourself. 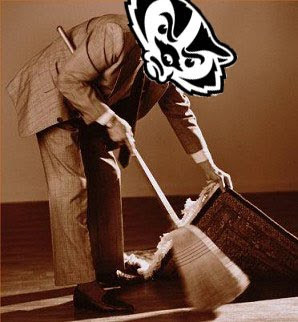 See: OLAW Report on UW-Madison. One thing that has yet to be reported in the local papers or television stations is the university’s share of taxpayer dollars awarded through the American Recovery and Reinvestment Act (ARRA) for its animal experimentation program. In 2009, UW-Madison was awarded somewhere between $12 and $16 million in stimulus funds for experiments on animals. The money is still rolling in; 2010 amounts have yet to be reported. The Wisconsin National Primate Research Center was awarded $921,484 to establish a colony of monkeys resistant to the simian immunodeficiency virus. To quantify placental transfer and bioavailability of iron in the neonate, an innovative approach with stable iron isotopes will be employed, contrasting absorption and transfer of 57Fe provided orally to 58Fe infused intravenously into the pregnant female. Iron-sensitive hematological measures will then be monitored in the developing infants from the stressed and undisturbed control pregnancies to prove that the postnatal iron deficiency is temporally associated with the occurrence of abnormal brain and renal functions. Based on previous findings in anemic monkeys, neural dysfunction will be indexed by the protein and metabolite profile of cerebrospinal fluid using Western blot and nuclear Magnetic Resonance Spectroscopy techniques. To further demonstrate the clinical significance of these deficits, the effects of prenatal stress and anemia on renal functioning observed in other species will be verified. When infants are 8 months of age, measures of glomerular filtration rate and renal sympathetic input will be obtained. A second study will support the veracity of iron mediation hypothesis by showing that oral iron supplementation during pregnancy can lessen the effects of prenatal stress on the developing infants. The two studies are comprised of 126 mother-infant pairs of rhesus monkeys, with the behavior and physiology of each infant evaluated prospectively from birth across the first year of life. This research will contribute to the growing awareness about the formative role of the fetal period in laying the foundation for postnatal health. Paul Kaufman was awarded $360,267 to continue his experiments on the eyes of monkeys undergoing multiple and varied manipulations of their eyes. Although certainly not a blinding condition, and correctable by various optical means, presbyopia's cost in devices and lost productivity is substantial. Although much useful and relevant information has been garnered from studies in living and postmortem human eyes, the invasive techniques required to answer some of the most critical questions cannot be employed in the living human. [W]e will seek to establish the relationship between the magnitude and timing of sensory responses, associated motor discharges, and resulting gaze shifts. The proposed experiments, to be carried out in a newly developed head-unrestrained monkey preparation, are a natural continuation of those carried out in the behaving, head-restrained cat during the previous funding period. The change from the cat to the monkey preparation was dictated by the questions that arose from our previous work, which cannot be adequately addressed in the cat. Mary Schneider has been awarded $331,832 to continue her career-long demonstration of the harmful effects to monkeys whose mothers consumed moderate amounts of alcohol during pregnancy. Ei Terasawa was awarded $41,283 to continue pumping chemicals deep into monkeys’ brains. She was very recently given permission by the Graduate School ACUC to increase the number of these experiments she can perform on each monkey condemned to her lab. You too can check out the dollars flowing in and who’s being paid to do what with your money by using the National Institutes of Health’s Research Portfolio Online Reporting Tool (RePORT). Jan. 8, 1 p.m. 350 Bascom Hall, UW-Madison. Be There. Dear Editor: On Friday, Jan. 8, at 1 p.m. in 350 Bascom Hall, the All-Campus Animal Care and Use Committee at UW-Madison will take up the question: “Is experimenting on monkeys ethical?” Members of the public may attend but not participate in this meeting unless invited to. The question is important because researchers themselves have revealed deep similarities between monkeys and people. For example, monkeys have advanced cognitive abilities: They make rational decisions, are capable of symbolic reasoning, can count and add, and can use vocabularies to communicate. Some UW-Madison researchers base their research explicitly on monkeys’ ability to experience fear, anxiety and depression. There is evidence that monkeys have compassion and altruism, empathy, the ability to see the world from another’s point of view, and a sense of fairness and right and wrong. Some primatologists even say that monkeys love. If monkeys think, feel, and relate to each other much as people do, and they are so similar to people that researchers expect their research findings to apply to people -- not just in physiology but in thought, feelings, and social relationships -- then a serious question must be asked: How is it ethical to do something to a creature that is very much like a human when it is not ethical to do the same thing to a human? Even supporters of experimenting on monkeys must agree that the experiments raise a serious ethical issue. This question has been important for decades. It is particularly important now because UW-Madison, which has long wanted a $160 million expansion of its primate labs so that it could experiment on twice as many monkeys, has requested at least $17 million dollars in stimulus funding (public money) to renovate and expand its primate labs. Here's the December 2009 USDA/APHIS Inspection Report that got the news media's attention this time around. I couldn't help but notice the change in the statements being made UW-Madison head vivisector and spokesperson Eric Sandgren. He must have received an order from the public relations office. Sandgren said that when he got the 10-page report, "my stomach just went clunk." "I'm not at all happy with the things listed there," he said. "That's just not acceptable." Tomorrow, the university will have a different story; I imagine the PR office is working overtime. All of this jive has to be placed in context. Sandgren and other vivisectors say routinely that the animals they use are respected and well cared for. They say routinely that strict regulations are in place that assure high quality care and careful monitoring of the animals. The Animal Welfare Act, the main set of regulations routinely pointed to by the vivisectors as proof that the animals they experiment on are well cared for, has at its core, the idea that much effort must be made to insure that animals are used only when no alternative exists, that the least stressful and least painful methods are used, and that careful monitoring and safeguards are in place. But the current inspection report makes it very clear that the Animal Welfare Act is routinely ignored by Sandgren and his fellow vivisectors at UW-Madison. They use the Act as a shield to deflect public criticism of their personal decision to spend their lives hurting animals. The simple fact that people who chose to spend their lives hurting animals will lie about it without qualm isn't a revelation. Liars thrive in society because we expect people to be generally truthful. The University of Wisconsin-Madison vivisectors have more troubles ahead. The details of what led to this joint inspection visit haven't yet been exposed. No one has yet spoken about the revolt by the Vet school animal care staff, the details of the three suspended protocols, the details of the Michele Basso scandal; there is much dirt hiding under the UW's red rug that will come out in time and be blazened in more embarrassing headlines. UW-Madison's animal research program is filled with rot and festering secrets. Stay tuned. A funny postscript: The USDA Inspection Report linked to above is a copy provided to local media by Eric Sandgren. Notice the redactions. 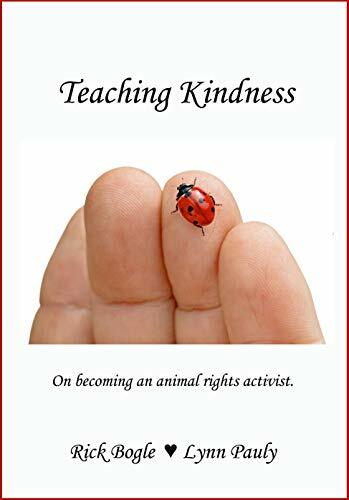 Sandgren et al argue that if animal rights activists (me, for instance) were to learn where animals were being kept on campus, that we would go berzerk, break in and destroy decades of "life-saving" research, undoubtely, just on the brink of a cure for some hideous disease of children. That's why the buildings and room numbers are blacked out. But why in the world would Sandgren et al hide USDA Veterinary Medical Officer Dawn Barksdale's name? Her name has been on these reports many times over the past few years. Here's the same much less redacted report posted on line by the USDA. BTW, the only research data destroyed at the university as a direct result of animal rights activism were the 628 videotapes of fifteen years of primate research destroyed by the university to keep them out of the public's hands after activists asked for a copy of a single one. Go figure.